How Does Aromatherapy Help Skin? Aromatic essential oils and aromatherapy have been around for a large part of our history and have played a vital role in shaping our understanding of modern medicine. In fact, the use of aromatic essential oils for various healing practices and religious ceremonies dates back to as far as 5000 years ago. The practice of ancient Ayurveda healing started our first ever account of healing practices. However, cave paintings discovered in Lascaux, France, indicate that ancient humans had started using plants as a form of medicine as far as 45,000 years ago. For centuries, essential oils and aromatic therapy have been used for beauty routines. The queen of Egypt, Cleopatra has made this famous. She became famous for bathing in goats milk blended with honey and myrrh. She would often use a concoction of essential oils and various other natural ingredients to create perfumes and skin care lotions – even sunscreen, to help keep her skin beautiful, supple and youthful. It clearly paid off since history has remembered her as a true beauty of the ancient world. If essential oils and aromatherapy could work for Cleopatra, why not for you? Aromatherapy can be defined as “therapeutic use/application of aromatic substances.”Humans have used it for thousands of years in China, India, and Egypt. It uses plant materials and oils to improve physical and psychological well-being. Since it’s a form of an alternative medicine, there is no scientific evidence that it actually works. As modern medicine and scientific understanding have far surpassed the quasi-spiritual nature of these healing practices, a lot can still be said with regards to the effectiveness of some of the simple principles that holistic healing prescribes. The results usually speak for themselves. The idea of being able to strengthen one’s body and mind, whilst boosting overall system immunity sounds a lot better than taking medicines that have lists of side-effects and can, in some cases, make you iller. These aromatic substances open a world of possibilities though. Beyond that scope lies a vista of natural compounds and organic constituents which once played a role in the life of its plant source. It can be applied in dermatology, massage therapy, and various forms of science as well as natural healing. The field of aromatherapy doesn’t necessarily focus primarily on aromas but on aromatic substances. 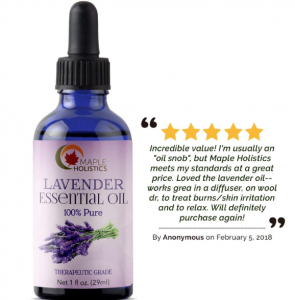 Essential oils are one of the most aromatic substances known to man, and aromatherapy is a field of study that can connect science and nature for the betterment of mankind. The term ‘aromatherapy’ is a very general term. Upon hearing the word for the first time, many people would most likely assume that it’s practically a form of therapy that involves aromas. Sweet smells to relax, energizing scents to stimulate, and herbaceous for spa settings. 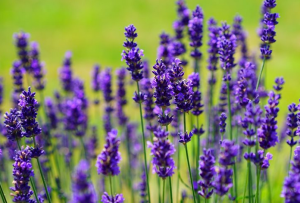 Lavender is a familiar aroma to all. And almost anyone can put their finger on lemon, peppermint, or tea tree as well. The assumption that aromatherapy is only a therapy of aromas is a misconception, and aromatherapy is misunderstood by the general public. Aromatherapy isn’t limited to aromas but can include the use of herbs, spices, plants, flowers and other naturally occurring compounds that help treat skin and hair. 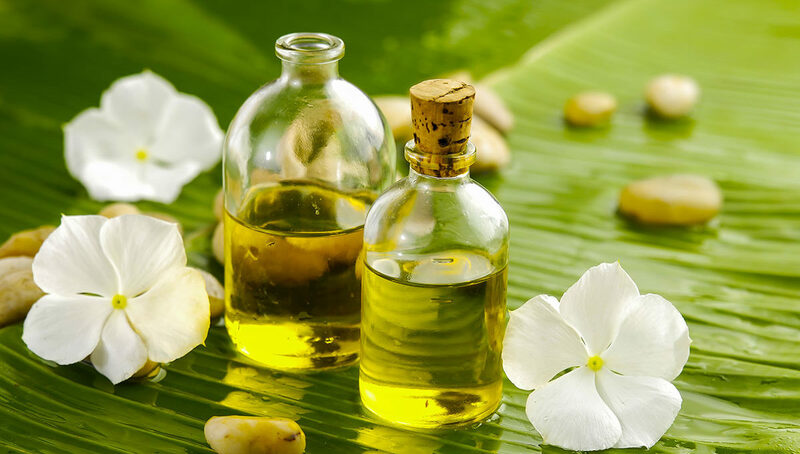 The use of aromatherapy essential oils for beauty and skin care is a wide field. The oils can be used to treat a variety of skin issues or ailments, as well as help prevent the onset of the signs of aging. Using these oils is relatively simple. They work by penetrating the surface of your skin and stimulating blood flow. This allows nutrients and vitamins to get to the affected area – enabling your skin to heal naturally. They also contain a rich amount of natural antioxidants and antimicrobial properties, among many others. It makes them quite effective at keeping your skin clean and free of infection of inflammation-causing bacteria. It’s not hard to believe that there is an essential oil for nearly every skin or health-related issue. While this is good news for those looking for alternative forms of medicine, it may also prove to be a bit of challenge. Especially for those who are less experienced or simply don’t have the time to do all the research that generally comes with a holistic approach to healing. In order to make your life a lot easier, below is a short list of the top three essential oils that you can use to help treat your skin and support a more natural form of aging. 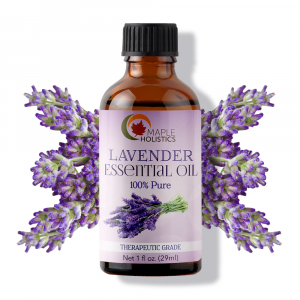 Maple Holistics Lavender essential oil. 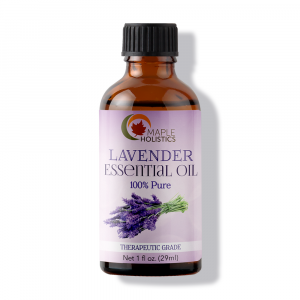 Lavender oil is easily one of my favorite essential oils to use in general. It’s particularly effective when it comes to treating skin related issues. The oil is rich in natural antioxidants which help to keep the skin free of toxins such as free radicals. Free radicals can wreak havoc on the quality of your skin. They speed up the aging process by bonding with your cells and causing chain-reaction like damage. This can lead to cell degeneration and loss of elasticity in your skin. 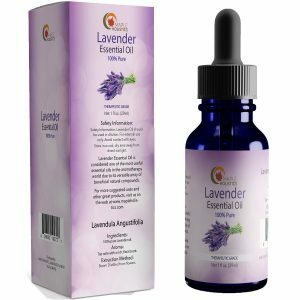 These same antioxidants also make lavender oil particularly effective at keeping your skin clean and clear of any germs that may cause infection later on. This makes it an amazingly effective tool for treating issues such as acne. It can help heal sores and prevent the build-up of dead skin cells and bacteria that generally tend to further one’s acne. You can use Lavender oil for relaxation. It can be rubbed on your feet, temples, wrists, or anywhere to calm your brain. It’s perfect for crowded places like subways and planes when you need to create your own personal space. 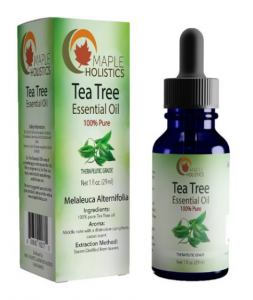 Maple Holistics Tea Tree essential oil. Tea Tree oil originates from the Melaleuca tree which is native to the Australian outback. 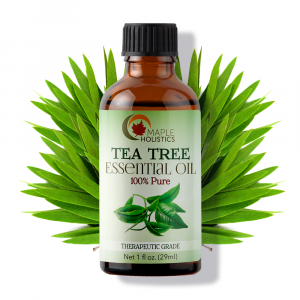 The oil produced by this tree has been known to us for well over a century now and has been hailed as one of nature’s most potent antiseptic agents. It can be used as hand sanitizer, insect repellent, and even deodorant. The oil’s antibacterial effects may help prevent and control bad odor caused by perspiration. Your sweat alone actually doesn’t smell. When your sweat combines with the bacteria on your skin, it produces a strong odor. 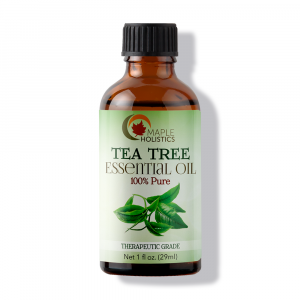 This makes Tea Tree essential oil incredibly effective at keeping your skin clear and fresh, whilst also preventing the buildup of germs and bacteria when applied regularly. By gently massaging Tea Tree oil into your skin (and around the affected areas), you can help wounds heal faster, reduce the pain associated with them (as it has natural analgesic qualities) and even increase your skin’s natural luster by stimulating blood flow and adding color to your skin – making you look younger and healthier. While Almond Oil may not have the most powerful aromatic qualities (at least when compared to the two previous oils), it has tremendous healing abilities for your skin. It’s known to be a must-have addition to any natural beauty or skincare routine. 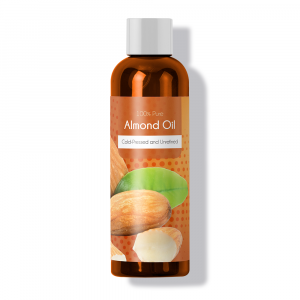 Since almond oil is an emollient, it’s great for both hair and skin. It can be used as a gentle makeup remover, a natural massage oil, or a hair and skin moisturizer. Almond oil is often used as a carrier oil for diluting more potent oils in and thus making them more tolerable for your skin. 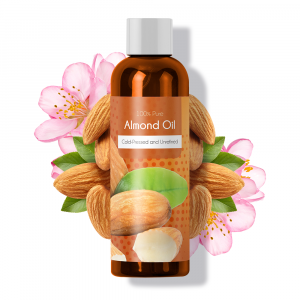 Almond oil is particularly effective at stimulating blood flow and encouraging the growth of new cells and new skin tissue. Therefore, it’s often used to help with healing scars (such as acne scars) and keeping your skin free of toxins and bacteria. Toxins and bacteria usually lead to inflamed sores in the first place. It’s rich in Vitamin A and E which are essential for maintaining a healthy complexion and help to keep your skin hydrated and nourished when used regularly. Oils can either be applied directly to the skin or be diffused into the air. Diffusing oil is a great way to get the most out of the properties of essential oils. Diffusing oil is used for aromatherapy and helps your surroundings become more rejuvenating and calm. It sets the mood to help you relax. Our emotions, memories, and experiences can all be further connected from the scents of essential oils. Diffusing oil is also beneficial for the skin. A diffuser can be used throughout the night as you sleep and you will wake up feeling rejuvenated. The oils can help moisturize your skin via the air. Because the air around you could be dry, sleeping with diffused oils can add moisture to the air and your skin. As you can see, there are many great benefits to using essential oils. Not only do they help with acne and keep your skin hydrated, but they help with toning the skin and reducing stretch marks as well. Some of the best essential oils to use for diffusing purposes include lemon, tea tree, lavender, and sandalwood. Each of these has their own properties that are beneficial in different ways. Due to different properties within various essential oils, some may be more beneficial for the skin than others. Whether you’re diffusing oil for aromatherapy, stress relief, or to rejuvenate your skin, finding the right essential oil won’t be too difficult. Read about how to make a DIY Oil Mask to get great skin here at Maple Holistics! It’s important to realize that skincare, in general, is a process that takes time – a clean and clear complexion doesn’t happen overnight. Approaching the issue from a holistic point of view and accepting the healing power from the organic elements will improve your overall health. Using natural products and aromatherapy techniques can improve the appearance of your skin. It can finally be at a place that you’re proud to show off. All without breaking the bank or posing any risk to your health. It’s highly recommended to utilize natural products and holistic techniques as a part of your beauty and skincare routine. The results will speak for themselves! Not only will you be able to treat your specific ailments and health issues over time, but you’ll feel better while doing it. It will enable you to shine! When your body is happy, you are more likely to be happy too. So why waste time with hazardous chemicals and expensive treatments, when nature has something perfectly suited to your needs already?